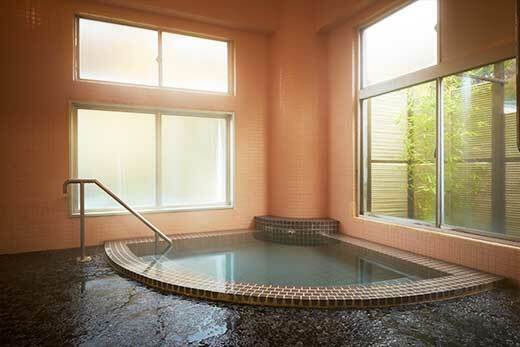 Onsen is considered the most popular travel attraction in Japan. 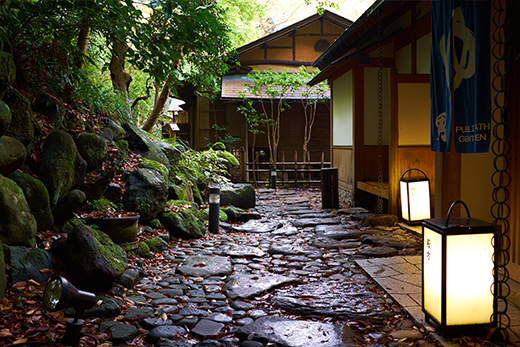 An Onsen experience is the ultimate in relaxation, usually in a very rustic and beautiful natural surrounding. 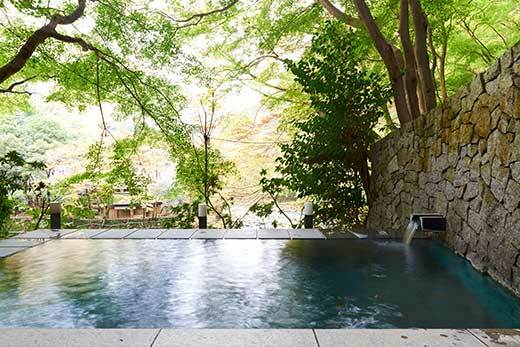 Technically, an Onsen, in Japan, is defined by the temperature of the water, usually with a temperature over 25 C and should contain 19 essential minerals designated by the Japanese Environmental Agency. 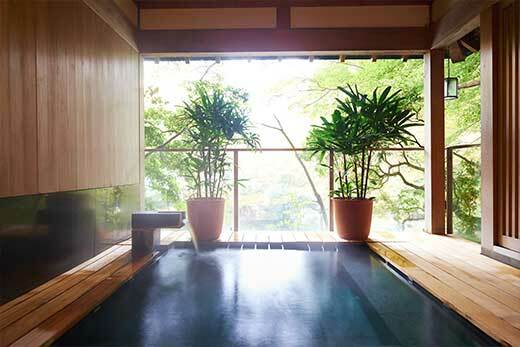 The region of Hakone, Japan is famous for the high quality of their hot springs water. An Onsen experience is also part of our Ryokan. The bath tub in our Onsen is always filled with fresh hot spring water in the Kakenagashi (always running and non-recycled water) style. 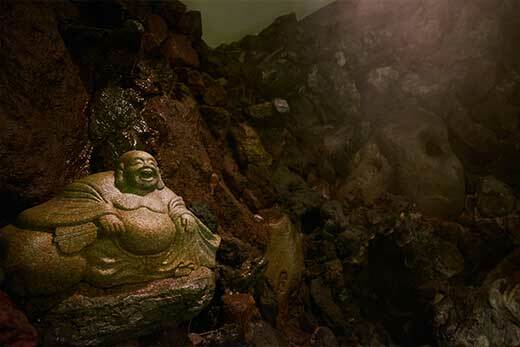 The hot springs water of our Onsen is filled with minerals that are very good for a variety of ailments, from neuralgia, rheumatic ailments, fatigue to muscle pain. And also is very good for your skin. 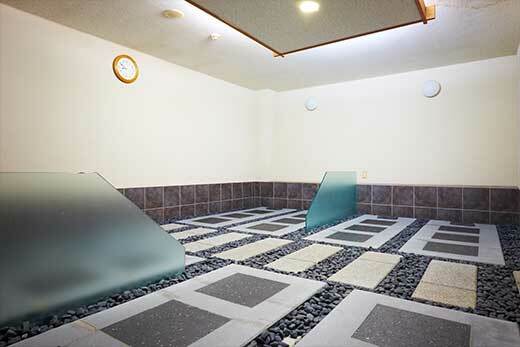 Our Onsen spring rooms are available from 3:00 PM to 10:00 AM (until the next day). Suehiro-no-yu Kashikiri Buro. A bathroom for private use, which can be rented. A newly built bathroom on the third floor. 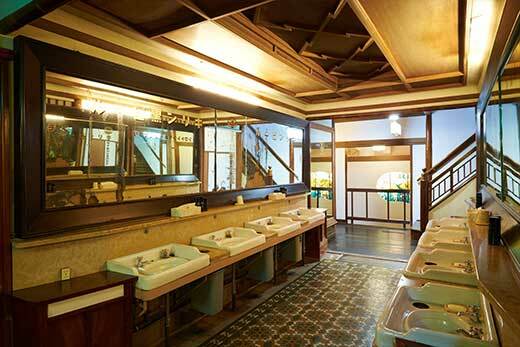 This bathroom is for private use where you can enjoy Onsen leisurely in a very nice, private space. The bath on the 3rd floor is a non-water spa. It strengthens your metabolic rate with a far-infrared ray and negative ions. This is said to be relaxing for your body and effective for skin smoothness and diet too. 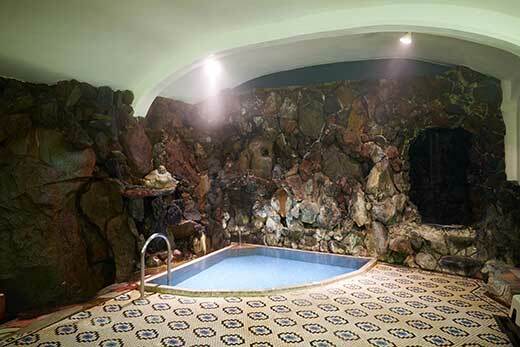 In this stone spa, guests should dress in special clothing to enjoy the experience together. * fee : 1200 yen / 1person, includes towel, clothing and one bottle of water. A Kashikiri Buro (bathrooms for private use, that can be rented) can be rented without a reservation. You can use this bathroom when it is available. To use this room, place a plate saying Kashikiri in the front door of the bathroom and lock the door. Time length is about 30 minutes, but, it is OK to use the bath several times. How to take a bath, Japanese style! You are only to go inside the bath tub after you washed your body. Firstly, you are to rinse your body with hot water. Washing beforehand helps to keep the water in bath tub clean. The rinsing and washing of your body with hot water also acclimatizes you to the actual temperature of the bath tub. It is not advisable to jump into the water like diving in to a swimming pool. Please use discretion. Bring with you the small towel that will be provided with you and please do not put the hand towel into the bath tub water. Most people place the towel on their head. And remember do not use any soap or shampoo or other skin cleansers in bath tub. 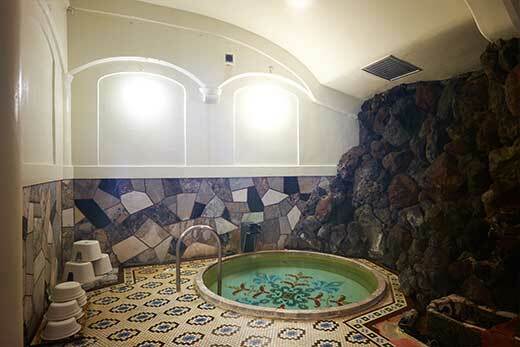 To keep the vitality and the lingering effects of the hot springs water, it is better not to wash your body by shower or hot water directly after going out of bath tub.